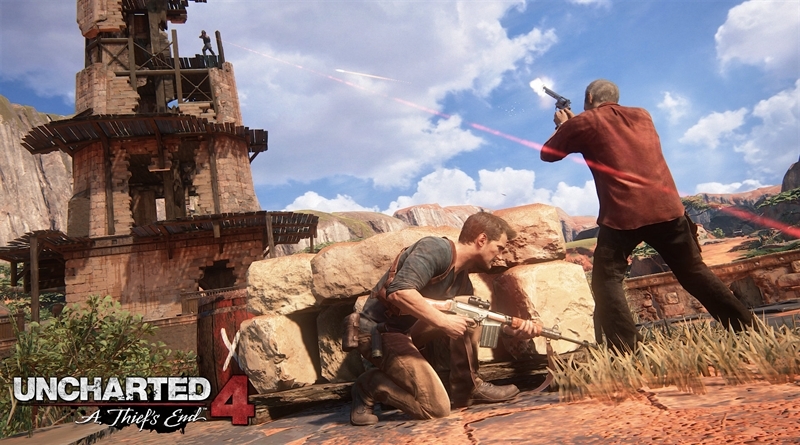 Uncharted 4: A Thief’s End has many different, powerful and unique weapons and the Flintlock pirate gun is one of these unique weapons. In this Uncharted 4 A Thief’s End How to Find Flintlock guide we will show you how you can get the Flintlock gun. You can find this unique weapon in the 8th chapter; The Grave of Henry Avery of Uncharted 4. You’ll find this Flintlock weapon on a road from cemetery to one of the large crosses. When you and Sam encounters a 3 man patrol that’s the area where you should look for the weapon. You can ignore the enemies and find the entrance to the small cave by climbing the rock. Enter this cave and you will see a dead pirate on the ground and near that dead pirate you can see the Flintlock gun. And on the left side of this pirate you can see a collectible item blinking. Just approach the blinking item and you can see a chest icon and triangle button appearing, press the button and you will get the Slipoint Clasp Knife. If you still find it difficult, you can watch the below video. The video is created by Keith Lau, and I hope you guys will enjoy it!